The number of women joining SaraSpa has risen dramatically over the last few years. Many women are regular participants in SaraSpa activities such as Bullseye, IDPA, and the rimfire fun-shoots. For those who want a regular outlet to meet with other women and improve their shooting skills, we offer a Women’s Shooting League on Wednesdays. We meet generally all Wednesdays except for the first Wednesday which is reserved for board meetings. We offer several programs from the Winchester/NRA Marksmanship Qualification Program including the Rimfire, 4 position Rifle and Pistol Qualifications. Participation in the program is not required. However numerous women have earned their Distinguished Expert ranking, many who had never shot before. We do not compete against each other but work together and encourage each other in a very fun and friendly environment as we work our way through the programs on an individual basis. We alternate Wednesdays between rifle and pistol. Please check our calendar. 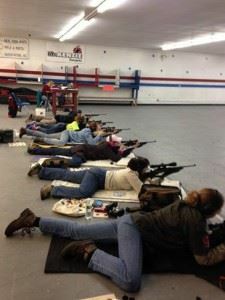 For rifle nights, women are encouraged to bring a 22LR rifle if they currently own one they prefer to use or they can try various rifles available to us through NRA grants and programs offered from CMP. Please bring at least 50 to 100 rds of .22lr ammo. Some women prefer semi-automatic until they try a nice bolt action. For beginners we recommend finding out your preference before going out to purchase a rifle if you don’t already have one. We can help! For pistol nights, we shoot AP2 targets per the NRA Pistol Qualification program. All calibers are allowed as long as they comply with range rules. If you have questions, feel free to contact Maisey at the address below. Join us from 7:00-9:00pm on a Wednesday (6-8pm during summer months) and try it out. A fee of $3 for members and $4 for non-members covers the cost of targets and supplies. 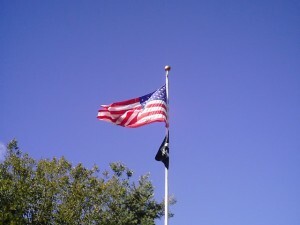 There is a one time $15 fee for the program to cover the cost of patches/supplies. 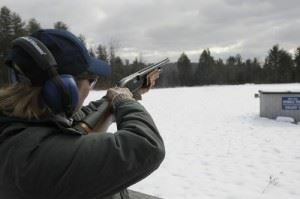 Other events such as Trap, Rimfire Shoots and Archery events are held occasionally and are announced to the membership via email and flyers at the clubhouse. You must be 12 years of age, or older (women under 16 must have a parent or guardian present). Fees vary, but are usually around $5.00. Some events include pot luck lunches. You do not need to be a SaraSpa member to participate. E-mail to persons listed on the Women’s Activity e-mail list. Send e-mail to Maisey Loucks at loucksfamily6@aol.com to be added to the list.